Communication Objectives: Students will learn to talk about fruits. Language Objectives: To learn to ask and answer questions using fruit vocabulary. 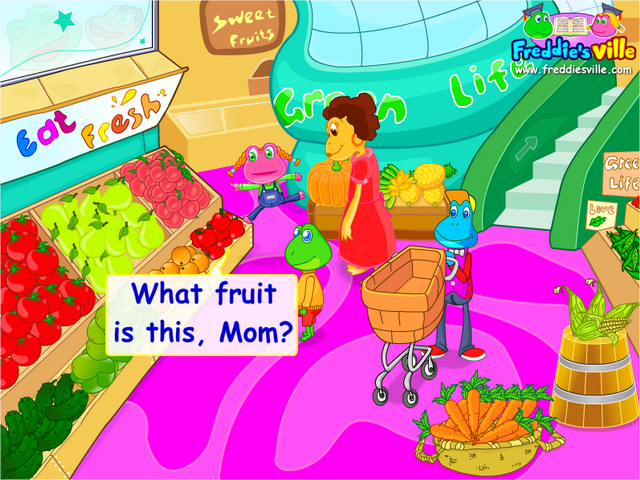 Dialogue Story: Mom, Freddie and Lisa are at a fruit market. Freddie and Lisa prefer different fruits. They are buying different fruits.